Extra large industrial strength narrow plastic transport truck. 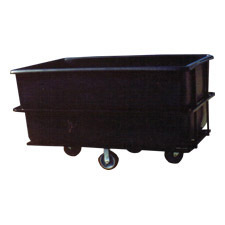 This 8005 Plastic Narrow Transport Cart is perfect for material handling, including bulk laundry and textiles. 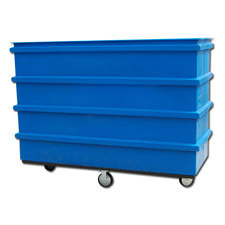 These extra large plastic narrow transport carts have a capacity of 63 cubic feet and are available in many different colors. 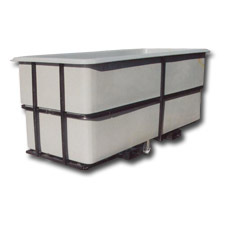 These extra large narrow transport carts are perfect for moving bulk laundry and textiles. With tough polyethylene construction, there are a number of available options for your 8005 Plastic Narrow Transport Cart including custom designs, drain holes, stenciled numbers and letters, hinged lids, handles and spring lifts. 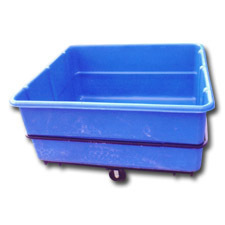 Plastic bulk utility cart. Perfect for moving materials, including laundry and textiles. 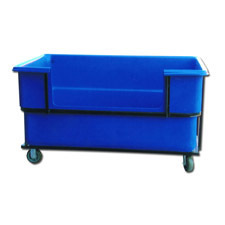 Standard plastic easy access cart for material handling, linens and textiles.